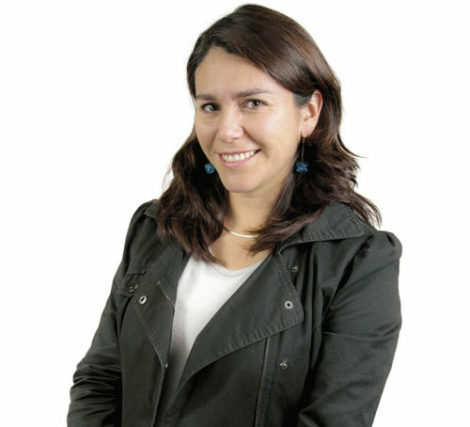 Fabiola Barrenechea is a Geographer of the Pontifical Catholic University and Master in Geomatics of the University of Santiago de Chile, Diploma in Integrated Management of Urban Risk from the University of Chile and Diploma in Public Policies and Territorial Planning from FLASO. She has worked for 6 years in the National Emergency Office as Coordinator of the National Platform for Disaster Risk Reduction, where she directed the elaboration of the National Policy for Disaster Risk Management. She has conducted courses related to humanitarian aid such as the Sphere Project Course and Minimum Standards for Humanitarian Response conducted by the Red Cross and Caritas Chile, and the BAGER Course: Administrative Bases for Risk Management of USAID-OFDA. Along with the above, she possesses geomatic tool skills for the processing of spatial information and has undertaken courses in Esri Chile on Geographical Information Systems and Spatial Data Infrastructure of the Geographic Institute of Spain. Fabiola has made a score of national and international conferences on issues of Disaster Risk Reduction, in countries such as Argentina, Costa Rica, Mexico, Indonesia, China and Chile. Currently, she is Director of the Engineering Degree in Geosurvey and Cartography and of the Observatory on Disaster Risk Management at the Bernardo O’Higgins University, and holds the position of Editor in Chief at Terra Australis Scientific Journal.